Chanteur Country US né le 11 Octobre 1925 à Republic (Alabama). Jimmy Murphy a débuté à la fin des années quarante. Artiste talentueux et exubérant, il fut un chanteur régulier sur WIVK, WATE-TV et WTVK-TV (tous à Knoxville, Tennessee) en 1956. Jimmy Murphy est décédé le 1er Juin 1981. 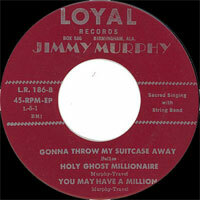 Jimmy Murphy is one of the more enigmatic figures to come out of the country/rockabilly scene of the early to mid-'50s. A virtuoso guitar player and a gifted and inspired songwriter, he had a knack for composing and performing quirky, clever songs that hooked into unusual thematic angles — his first song, "Electricity," equated rural electrification with religious salvation, while the closest he ever got to a real hit, "Sixteen Tons Rock n' Roll," was a satire of the 1956 Tennessee Ernie Ford hit of the Merle Travis song. His music was also strangely archaic in both its form and content, elements that may have doomed his chance for a successful recording career. 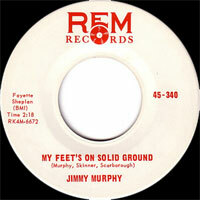 Murphy's music drew from a multitude of influences, most notably the blues. His father was an admirer of numerous bluesmen, including Blind Boy Fuller and Leadbelly. He joined his father in the bricklaying trade and always split his time between construction and music. By the mid-'40s, Murphy was an occasional guest on the Happy Hal Burns Show on Birmingham's WBRC. He moved to Knoxville, TN, sometime in late 1949 and auditioned successfully for a spot on future Hee Haw cast member Archie Campbell's Dinner Bell Show on WROL. He later moved over to WNOX. 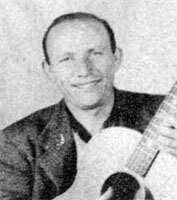 Campbell was responsible for introducing Murphy to guitarist Chet Atkins, who arranged for Murphy to record a demo tape. This resulted in a publishing contract and also led to a formal recording session for RCA Victor in January of 1951, with Murphy backed only by Anita Carter's bass. The resulting single, "Electricity," was received enthusiastically by all those present, but it died on the vine, as did its B-side, a cautionary tale about a teenage girl gone astray called "Mother Where Is Your Daughter Tonight." 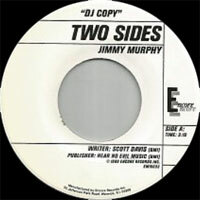 Both songs were stylistic and thematic throwbacks practically to the 1930s and displayed the eclectic nature of Murphy's music. 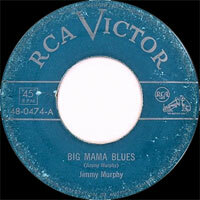 None of his other RCA sides sold, including "Big Mama Blues" and "Ramblin' Heart" — both of which featured more prominent backup with electric instruments — and the label dropped him after a year. Murphy was still a regular on radio in Knoxville and switched from WROL to WNOX in the mid-'50s. 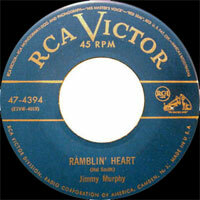 In late 1955, he took another shot at a recording career when he was signed by producer Don Law to Columbia Records. 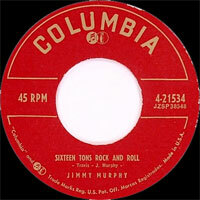 He still hadn't come up with the right song, despite the presence of some fairly lively rockabilly-style songs ("Sweet Sweet Lips"), which may have been intended as much as satires of the sound, and none of the material from his first Columbia session in November of 1955 managed to chart. Part of the problem of his music's appeal may have been its spare, almost minimalist sound — in an era of increasing amplification and ever more prominent rhythm instruments, he was an anachronism. For all of his occasional references to contemporary hit songs and pop culture fixations, Murphy's music also had a strangely antiquated feel, as though it would have fit in better in 1940 or 1945, rather than 1955. He tried to solve problem this at his second session in May of 1956, where he cut a number called "Sixteen Tons Rock n' Roll," a piece that seemed to everyone like the song he'd been looking for. It failed to hit, however, and none of the other material from that session did any better. 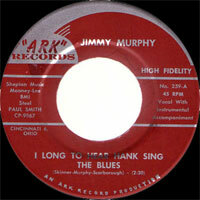 Murphy was dropped by Columbia in 1956, but he kept playing around Knoxville between bricklaying jobs, and in 1962 he recorded again for the Cincinnati-based Ark label, turning in what was probably his best individual song, "I Long to Hear Hank Sing the Blues." 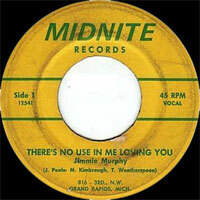 He also recorded for the Midnite label in Grand Rapids, MI, and for King/Starday as well as the Loyal and Rimrock labels, but none of this took. Murphy receded to the memories of listeners in Knoxville and rockabilly collectors and probably would have stayed there if not for a series of events in the mid-'70s. The reissue of "Electricity" as part of a Library of Congress folk collection in the 1970s got the song more exposure than it ever had back in 1951 and drew one listener in particular, Richard Spottswood, to try and track Murphy down. In 1978, Murphy recorded a new album called Electricity with the Sugar Hill label, which had already been making some noise by helping to revive the bluegrass careers of people like veteran rocker Chris Hillman. The record, which had a pre-stardom Ricky Skaggs aboard, was an artistic and commercial success, and another record and a tour were in the works when Murphy died in 1981. Murphy was a true original, almost a stylistic mutant, incorporating blues and country influences from across three decades and casting them in a strangely topical yet anachronistic form. He never found the formula for major commercial success, yet his music lingered over the decades in the minds of many rockabilly enthusiasts (his records were highly prized and highly priced during the 1960s and 1970s). In 1989, Bear Family Records finally responded to the demand for his music by issuing a CD that combined Murphy's complete RCA and Columbia recordings on one CD, Sixteen Tons of Rock & Roll. 12/1978 SP SUGAR HILL SH-3702 (US) .